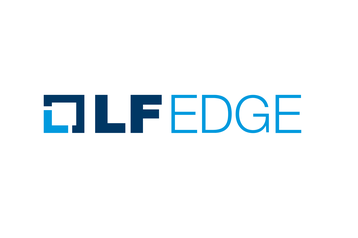 The new organization, LF Edge, will initially take charge of five projects: Akraino Edge Stack, EdgeX Foundry, Open Glossary of Edge Computing, Home Edge Project and Edge Virtualization Engine (EVE). The initiative is already supported (i.e. funded) by more than 60 industry members, including giants like Ericsson, HPE, Huawei, IBM, Juniper Networks, Nokia, NTT, Seagate and Tencent. The announcement follows the launch of LF Networking – another internal organization, dedicated to networking software – in January 2018. This year, the Foundation decided to bundle three of its existing projects and two brand new initiatives into a single entity, to encourage greater collaboration between member projects, while consolidating the administrative functions. Just like LF Networking, participation in LF Edge is voluntary and each of the projects will maintain their technical independence, community structure, release roadmaps and web presence. “The market opportunity for LF Edge spans industrial, enterprise and consumer use cases in complex environments that cut across multiple edges and domains,” said Arpit Joshipura, general manager of The Linux Foundation. Project EVE (Edge Virtualization Engine) is a framework for edge application management in the enterprise, based on APIs and contributed by ZEDEDA, a US startup focused on IoT. Click here for our interview with Arpit Joshipura and leaders of the Linux Foundation on the future of open source tools in carrier networks.